We sell a variety of Longboard Trucks for bombing hills, freeriding and commuting. Trucks from Paris Truck Co, Randal, Caliber Truck Co, Landyachtz and Sabre! 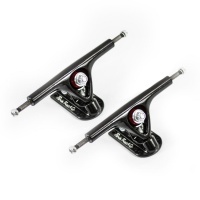 The Bear Truck Co Grizzly 852 Gen5 Trucks Black are been designed to be the benchmark in longboarding trucks. 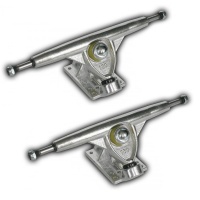 Sold as a Pair with bushings. 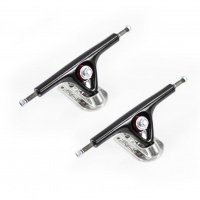 These Gullwing Sidewinder 2 trucks are designed to bring surfing to the streets. Stick these onto your bottom mounted Longboard and you will be slashing cutbacks like no tomorrow. 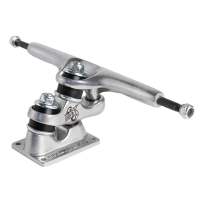 The new Voodoo Talisman 2 trucks from Mindless are a hugely updated and upgraded truck compared to the original Talisman trucks. Available in Black and Sandblasted. Featuring a 150mm six hole base plate truck that comes in a simple raw and raw colour scheme, extremely strong and durable. Featuring Paris's original design the Purple passion pairs purple baseplates with a painted silver hanger to give the 180mm purple perfection of the paris. 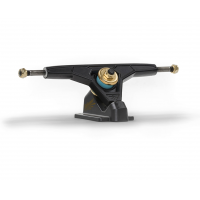 Featuring Paris's original design with a few little upgrades here and there, the V2 has all new stronger faced hangers and kingpin clearance for a better carve. 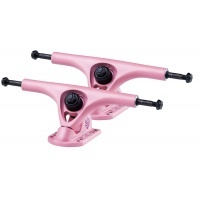 The Paris is a favourite freeride truck for many of the loaded team and us. 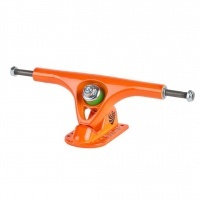 The Paris V2 180mm Green is the classic truck for longboarders in an awesome bright green colour! 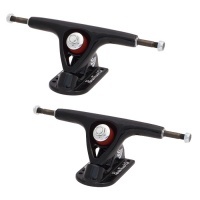 The Paris 180 trucks are some of the smoothest & most durable longboard trucks on the market. These Adam Colton art versions just look extra special with custom graphics. This new drop of colours from Paris is in three beautiful colours. Tiffany, Satin Blue and Satin Black. perfect all rounder that can handle anything you can throw at them. Paris are forever dropping new colours into the equation. Here we have the beautiful macaroon pink. perfect all rounder that can handle anything you can throw at them. 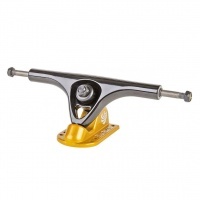 Featuring a 150mm six hole base plate truck that comes in a simple black . Simple, strong and durable. 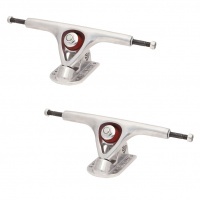 The Paris V2 180mm trucks are the most refined longboard truck on the market. A perfect all-around truck that can handle anything and everything you can throw at them. Introducing the Paris V2 Kitten trucks! Rounding up kitties is no easy task, but we finally wrangled up enough of these fluffy felines to get a group shot. 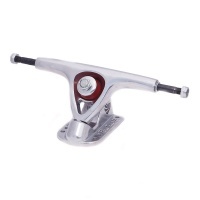 Classic Randal R2 180mm truck 50 degree quickturn. Sold as a pair of trucks and just as fun to ride as they always have been.